Tags: high stakes, Isildur1, poker documentary, Viktor Blom. Thanks to that article, Habegger was able to learn more about one of the most talked about online poker players in today's time. In the description of the video ‘The Making of ISILDUR1 - A Documentary' by JNandezPoker in Youtube, it says, "Viktor Blom aka Isildur1 has gained legendary status in the poker community. 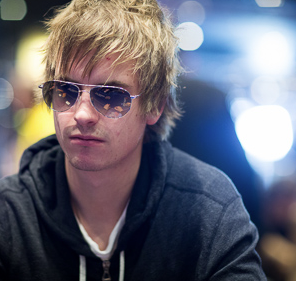 In the last 10 years, Isildur has won and lost millions of dollars, sometimes overnight. Never afraid of taking a battle, there is no other poker player in the world that has been more talked about and raised more questions than this Swedish ice cold crusher. This is the story of how Isildur1 came into poker and rose through the ranks and into the online and live nosebleed games in the years of 2009 and 2010. In part 2 we will look at the years after that and into 2018, and what can we expect from Isildur looking ahead. Isildur is one of the greatest legendary characters from the online modern poker world and this short film was created as a tribute for him. Special thanks to all the railbirds that upload high stakes hands to YouTube." 12 comments for "Video Documentary: The Making of Viktor ‘Isildur1'' Blom"
Documentaries are good if you learn a little extra strategy. I think these things should be done more often but i do not think the professionals players of poker they will want this because they show only a few secrets. Not too many to have no fierce competition. Anyway this documentary is a good thing. in a so called documentary. If you expand though on their style, strategy, etc, can take a bit longer. Very-very-very hard to watch anything if its narrated by somebody with a speech impediment - especially if he/she is not a native english speaker. Just my two cents. Also anything on Isildur is just five years too late in the making. I'm gonna take the time to watch this tonight. It will be very interesting to see how it all took off for him. I always find it interesting to see how the early stages of a career looked like before there was some serious money being involved. It's even more interesting about Viktor for me since I've met him a few times at some parties when we were younger (he's only 1 year older then me) and back then he was a kinda laid back type of guy, no real interest in taking things too seriously. At least that's the impression I got of him. People who knew him better might have something to say about that tho, I really couldn't say. session with no delay and exposed hole cards? Hard to win that way bro! Isildur1 is a very good professional player and a remarkable player, but in period when he played in full tilt poker and had extraordinary results, he had a big disadvantage. His youth made him lose millions of dollars as fast as he wins or even faster. Now it's more ambitious to win without losing millions like in the past.